Nowadays more and more casinos are emerging on the gambling market and as a result, there is a fierce competition for players. Every self-respecting casino aims at providing high-quality games, excellent customer support, fast payouts and fair gaming conditions in order to manage to satisfy its customers’ needs. 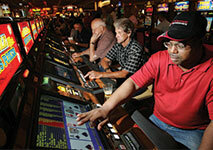 Some casinos are constantly searching for new ways to improve players’ gaming experience and to become more innovative. One such an attempt resulted in the creation of video poker tournaments which are gaining in popularity more and more among gamblers. These events offer you the chance to win great prizes and enjoy the game like never before. 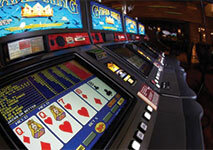 Video poker tournaments are exciting events which are organized from time to time by some casinos. Thanks to them, you have the opportunity to enjoy video poker in a completely different way as you can compete not only against the casino but also against other fellow players. You can greatly diversify your gaming experience and add value to it by entering a video poker tournament. Many casinos also organize such events for their regular customers and VIP players as a way of showing their appreciation towards them. If this is the case, you might be offered some additional comps such as free meals, a luxurious room and material gifts. Depending on your needs and personal preferences, you have the chance to choose the type of event you would like to participate in. Some video poker tournaments require an entry fee which is fixed, whereas others are held for free. Also, it is essential to know that these events usually consist of several short sessions whose duration is no more than 15 minutes. It is possible to participate in tournaments which are held only for the day but you can also take part in much bigger events which last up to three days. When it comes to video poker, several types of tournaments can be distinguished, depending on various factors such as duration, prize payouts and number of participants. The maximum number of players who can join these events is fifty and the minimum – ten. The reason why you should take your time to consider this aspect is that it directly influences the prize that you can win. Since the prize consists of all of the entry fees that players are required to pay in order to participate, its amount will be in accordance with their number. In this sense, the more players take part in the event, the higher the payout will be. There are two main types of video poker tournaments – ones that are limited in terms of credits or number of hands and ones that have a set time. In the latter, your goal is to win as much as possible over a certain period of time by using the credits you have initially purchased. Every player begins with the same amount so that everyone has a fair start. The winner is the contestant who has managed to accumulate the most winnings when the time runs out. If you have decided to participate in the first type of tournaments, then you should bear in mind that the winner is the player who has managed to win the biggest number of set hands. In regards to the rules that apply in video poker tournaments, it is worth mentioning that they can differ from one casino to another. This is what makes these events a one-of-a-kind gaming experience as they offer you the chance to enjoy video poker in various ways. These tournaments can be a great source of entertainment, however prior to entering them, it is essential to get familiar with all of their subtleties and requirements. Since there are two major types which feature different set of rules, you should also apply a different approach each time. You need to prepare a reliable strategy for both types in order to be able to make the best of every game. As already indicated, there are several different types of tournaments from which you can choose. These special events can be a great opportunity for you to not only increase your level of entertainment but also manage to make a small profit from them. In order to be able to find the tournament which suits your gaming style and bankroll best, you should get familiar with all of the important aspects that create the big picture. Some of the things which you should take into account are the exact amount of the prize pool and the total number of players that are expected to participate. If you consider these two factors, you can make a rough estimation and this way get a general idea whether this tournament is worthwhile. Of course, other external factors such as the casino ambiance and the idea that you have the chance to win a big prize also play a crucial role for your overall pleasant experience. Many players opt for these exciting events as they give them the opportunity to have fun while competing against other video poker enthusiasts. After all, there is nothing more overwhelming than winning a competition by using your skills. Even though the whole process of entering a video poker tournament is quite straightforward, there are several things which you should consider beforehand in order to be able to fully enjoy the game. In most cases, if you want to be a part of these exclusive events you are required to pay an entry fee which contributes to the prize pool. All of the video poker machines which are involved in the respective tournament, are set in accordance with its requirements, rules and pay tables. Each machine will display a win counter, a credit countdown and a session timer which will help you keep better track of the points you’ve collected so far and the credits and time you have left. Taking into account the fact that there are a few types of video poker tournaments, each one having its own variations, it is recommended to apply a different approach every time. 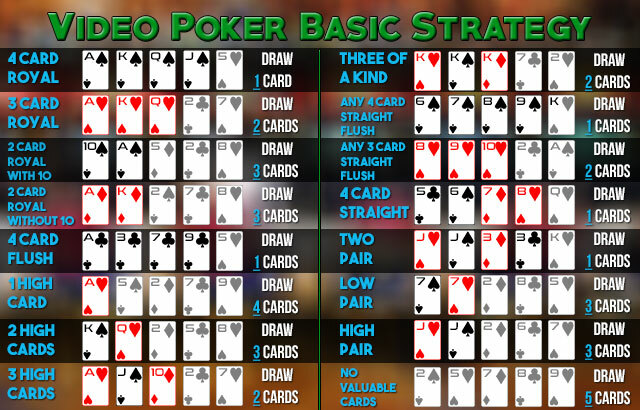 In general, video poker is a skill-based game and as such, the outcome of every hand can be significantly influenced by using a reliable strategy. However, you should bear in mind that the duration of the tournaments and the available credits you will have are pre-set in advance. As a result, you will be constantly pressed for time and if you don’t have a reliable plan how to proceed, you won’t be able to make the most of the game. Most gambling experts share the same opinion that when it comes to video poker tournaments, your best strategy is to strive to form a Royal Flush. While it is true that the odds of getting this winning combination are against you, if you manage to collect it, you will have a huge advantage over the rest of the participants and you will most likely win the tournament. Thus, if you are placed in a situation in which you have to decide whether to go for a Royal Flush or keep some other lower winning combination such as a Two Pair or a Three of a Kind, it is best to apply a more risky approach and hope for the best. Video poker tournaments are undoubtedly a great way to diversify your gaming experience by competing against other fellow players. In most cases, the required entry fee is affordable and the prize pool is something worth playing for. However, before you decide to enter such a special event, make sure to get familiar with all of its requirements and rules beforehand in order to avoid any misunderstandings during the gaming process.